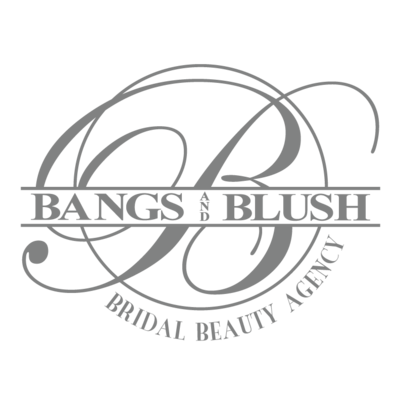 Bride's Makeup Package: $200 - Includes Trial and Day-of services. Full face makeup application with airbrush or conventional foundation. Bridal Party Member's Makeup Application: $75 ea. - Full face makeup application with airbrush or conventional foundation for wedding party attendants. Bridal Party Member's Hair Design: $75 ea. - Complete hair design (updo's, half up, all down, etc) for wedding party attendants. Junior Bridesmaid's Makeup Application: $54 ea. - Age appropriate makeup application (airbrush or conventional). Ages 7-12. Junior Bridesmaid's Hair Design: $54 ea. - Complete hair design of your choosing for the day-of event. Ages 7-12. Flower Girl's Makeup Application: $45 ea. - Age appropriate makeup application (airbrush or conventional). Ages 6 & under. Flower Girl's Hair Design: $45 ea. - Complete hair design of your choosing for the day-of event. Ages 6 & under. Application of false lashes: $20 - Strip lashes or individual lashes available. Lashes + application included. Installation of client provided extensions: $25 - Have our professionals place your hair extensions to accentuate your desired style. please contact our studio for more pricing information and booking.